A front porch enters the home via a beautiful foyer that accesses a hallway leading to a bathroom and two roomy bedrooms. The bathroom has a tub, toilet, and single granite vanity. The designer-like kitchen is complete with pantry, granite countertops, and an island overlooking a spacious open floor plan, to include a glamorous dining room and family room. Large windows allow an abundance of natural light to enter the family room of this lovely home and accentuate the hardwood floors. The vast dining area allows for formal dinners or fun filled family game night. 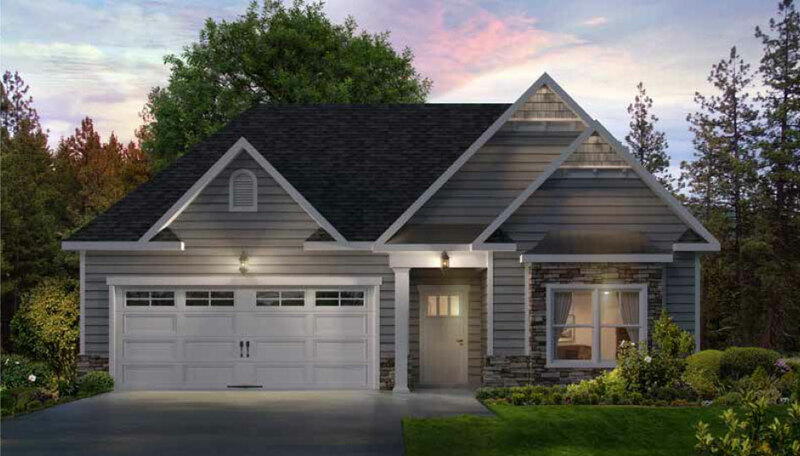 A covered porch adjoins the family room and a fireplace to enjoy on cool evenings may be added. 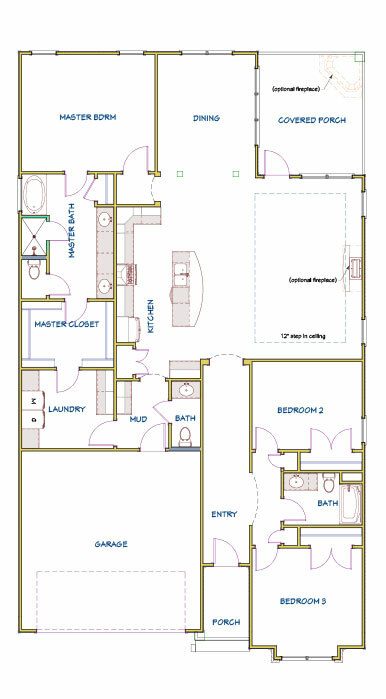 The large yet cozy master bedroom and master bathroom will be a place for relaxation after a long day. The luxurious bathroom contains a soaking tub, separate water closet, tiled walk in shower, linen closet, double granite vanities, and walk-in closet. The walk-in closet conveniently allows access directly into the laundry room. The two-car garage tiled entryway allows for easy access directly into the mud room, half bath, and laundry room before leading into the kitchen of this energy efficient home with spray foam insulation and tankless water heater.